As the number of wearable devices continues to increase, security may not keep up with innovation. Convenient wearable devices also carry risks. The number of wearable devices is increasing exponentially, with devices such as fitness wearables and smartwatches continuing to gain market share. 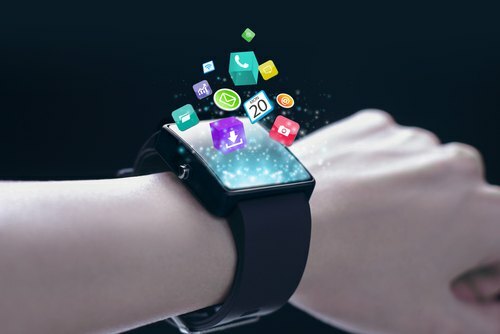 Tractica, a market intelligence firm, forecasted a significant increase in wearables devices by 2021, with total shipments for all wearable devices reaching 560 million and estimated device revenue $95.3 billion in 2021. Besides the typical health monitoring uses for wearables, the financial uses for wearables are broadening. For example, by using certain smartwatches, you can access your account at select financial institutions and even make payments in stores. And as financial institutions move toward chatbots and artificial intelligence-powered assistants, banking with your wearable device will become even easier. AI-powered virtual assistants will learn your voice and behavioral patterns, and can alleviate major frustrations associated with smaller wearable devices such as typing, entering credentials and repeating commands the consumer performs often.